Each of the following descriptions applies to one of the three men named. In each blank, key the number of the man described: Note: You must enter NUMERIC VALUES, then click your mouse anywhere outside of the input box to check your answer. 1. The earliest of the Pre-Socratics, he believed that the basic substance in nature was water. 2. The "father of Athenian democracy," he greatly enlarged both the size of the citizen population and its political powers late in the sixth century B.C.E. 3. A native of Abdera who taught in Athens, his dictum, "Man is the measure of all things," contained the essence of the Sophist philosophy. 4. The "father of medicine," he emphasized that every disease has a natural cause. 5. A benevolent tyrant, his son's rule was so oppressive that it was forcefully overthrown. 6. One of the three great Greek tragic playwrights, his plays display a greater interest in the particular, unique features of his characters, and focus less on universal qualities. 7. Though he left no writings himself, his determination to question every assumption and his emphasis on proper conduct fostered through pursuit of truth had a profound and lasting effect on later thinkers. 8. 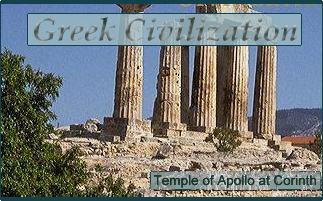 An advocate of scientific history, he wrote a famous, dispassionate account of the Peloponnesian War. 9. One of the most famous of Greek sculptors, he created the giant statue of Athena in the Parthenon, along with other notable works. Aristotle's ideal form of government which balances concerns of the monarch, the aristocracy, and the free males of the polis. p 180. Philosophers who wrote and taught in Greece before Socrates p 174. Following is a list of events in Greek history with which you should be familiar. Arrange them according to their proper chronological order (earliest to latest). After each event write its date (or approximate date).